From Meredith to Mommy: Guiding a New Reader through the Phonics Museum! Guiding a New Reader through the Phonics Museum! I can't tell you how happy I am that I'm getting to review a phonics app. This could not have come at a more perfect time, because reader #2 is heading home for kindergarten and it's time to start at the very beginning. Right now, however, worry is taking a backseat to excitement. 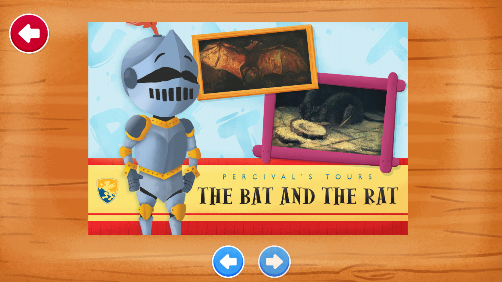 Reagan is having so much fun learning to read with the Phonics Museum App from Veritas Press. Teaching a new reader can feel like a daunting experience - and my master's degree is in reading education. So much came naturally to Madison when she was in preschool that I didn't so much "teach" as I smugly "guided" her on her journey. She was ahead of the game and totally enthusiastic about all things verbal until first grade when she got bogged down in spelling and phonics, decided reading was way too hard, and effectively slammed her breaks on, refusing to read anything beyond what she'd devoured as a four year old and could still do from memory. Eventually, we got her back on track, she discovered a series she really loved, and soared into devouring chapter books, but it threw me as a teacher. Now I have the second child entering kindergarten. She is unlike her sister in pretty much every way. Madison was reading easy readers at four with little guidance. I'm not sure Reagan knew her entire alphabet at four. Madison had sight words down within days. Reagan could care less about sight words. In fact, Reagan didn't have any of that itch to read at all. She's totally happy to have anyone read to her, listen to audiobooks, and if all else fails, flip through her books making up her own story. All totally developmentally appropriate, but that means that time I really have to start at square one, and I want to make sure I do it in a way that she will LOVE learning to read, and view it as doors opening to a world of entertainment and information, not as something she HAS to do, because school. As much as I like to sit together and read as a way of learning, now that I have two elementary homeschoolers, I need reinforcement that they can work on independently, and that's when I make great use of technology. Each girl has iPad time built into her school day, with a folder of "school" apps that they can use on their own. Developmentally appropriate for the stage they are in. Interesting enough to hold attention. Can be used independently - this means ease of navigation, clear instructions, and a limited number of times I approached with the phrase "it's not working!" Generally speaking, this app fits all my requirements. 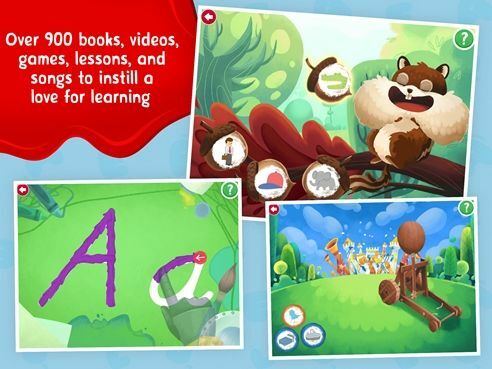 This app is geared toward new readers aged 3-7, has over 900 activities, progresses sequentially, and has students reading simple books in as little as four weeks. It's simple enough for a preschooler to navigate, and the activities are fun and engaging to all varieties of learners. Reagan and I sat together to set up her avatar and navigate the first floor of the museum together, and then I could release her to work on her own. Because you can't skip through the videos or access levels that require "unlocking" by completing the prior activity, you know that they are working sequentially. The app doesn't go in ABC order, which I actually love, and the activities are all excellent for learning the letter/sound correlations. Tapping on a painting pulls the avatar into the painting, and several easels are set up with activities - so far, just songs, games and videos, though soon books will be added. You go through both the letters and the easels in order - no skipping, and once a video has started, you can't rewind or fast forward. However, that not skipping (both video and activity) created some moments of frustration. My girls struggle with tracing on the iPad - a skill that I'm not too worried about since it in no way mimics writing. In fact, when they are doing any sort of tracing game on the iPad I have them use a stylus. But the tracing frustrated Reagan and she would often come into the room where I was working with her sister, thrust the iPad at me and tell me that she WAS writing A, but the game didn't THINK she was writing A, so it wouldn't let her look at the next painting. Other drawbacks are minor, but should be addressed. This app requires a WiFi (or data, if you have a large plan) connection. Not a problem at home, but we do plenty of "on-the-go" learning. The app is large, so plenty of space is needed for the initial download. As of now, the app is iTunes only - not available on other platforms. We have the devices to do this, but not every family does. The parent also gets a good amount of emails about what the child is doing - great for record keeping, but it can be a bit much at the beginning. Finally, I realize that the truly good apps aren't free, but this one seemed a bit on the high side: $9.99/month or $99 for a year's worth of access for up to three students (in comparison, another app we use and love for phonics is $6.99/month). For only one child, nearly $100 for a supplemental curriculum is pricey. But overall, the benefits far outweigh the drawbacks. The app is engaging and effective. Reagan has shown huge growth in her phonics skills, and she's happy to see this app in her school folder when it's iPad time. I'm thrilled to have it as a supplement to get us through her kindergarten year! 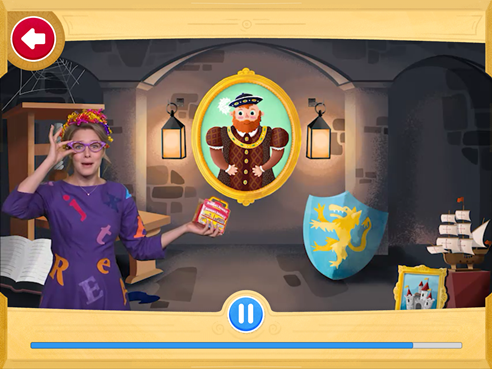 The Phonics Museum App is available through iTunes. Make sure to check out what others think!